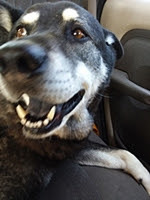 There is no story that is more appropriate for Blog Action 2012 than this one. 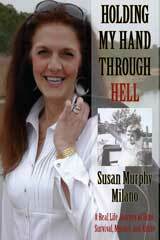 Holding My Hand Through Hell by Susan Murphy-Milano is a riveting, powerful book about how one woman overcame an abusive childhood and became a one woman crusader in the fight against intimate partner violence. With each turn of the page you wonder how one woman could go through so much and emerge victorious. Her story is both empowering and compelling. She was witness to repeated acts of abuse that were suffered by her mother. Eventually, the intimate partner violence claimed the two people that Susan loved the most. It was Susan who found the bodies of her parents after intimate partner violence claimed their lives. The murder-suicide would haunt her life forever. Holding My Hand Through Hell is not a reading journey for the faint of heart. Susan Murphy-Milano tells us how her family dealt with her abusive father and the story of how one pastor dared to give her hope. What helped Susan Murphy-Milano deal with these tragedies is her faith. She came through the abuse with a clearly defined sense of the powerful healing nature of God. Her book (although painful at times to read) is one of faith as even more than it is of abuse. The preview copy of Holding My Hand Through Hell is one that you won't want to put down. It is more than a powerful reminder that the "Power of We" for Blog Action Day 2012 begins with the power of one. This is a book that every pastor or church worker needs to read.It is available now from Ice Cube Press. Her book isn't easy reading but it's necessary reading.